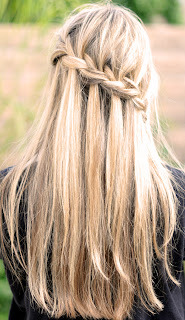 The Christian Wife Life: new hair-do - waterfall braid. Yesterday, I got a great idea from the lovely Kim Barrett's blog, "Grin and Barrett". She posted about a hair style called the "waterfall braid". As my hair is getting much longer, I have been playing around with different hairstyles. I have a lottt of hair, so when I wear it completely down it gets flat easily because there's a lot more hair then there has been, so half up styles, braids, and bobby pins have been frequenting my life. 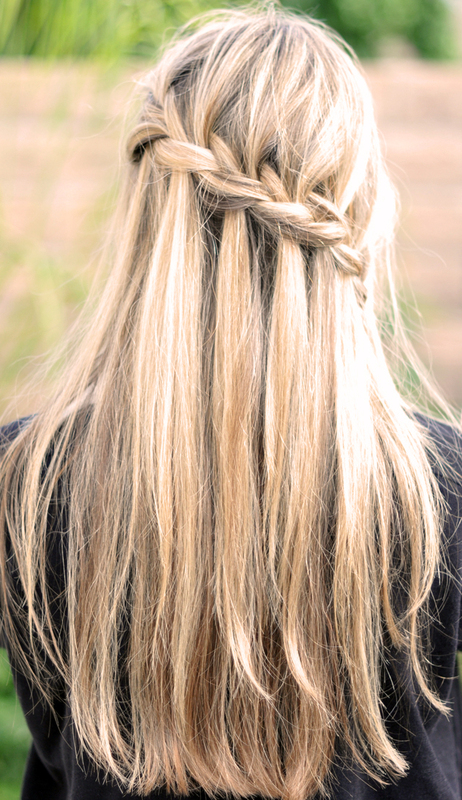 When I saw this braid, I knew I had to try it. So I did. Here are the results. 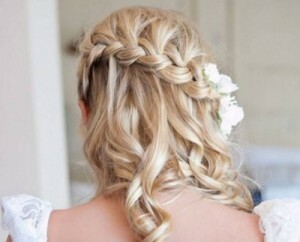 I'd love to try it like this someday - with curls and putting a couple flower pins in to hold it in place. Happy braiding! Let me know if you try it! Love this! Will definitely be trying it! That's awesome! Link to me! :) And I will find you and start following your boards! what color blonde is your hair? Looks nice! Hey Ashley, I'm wondering...how do you dye your hair blonde? Do you just highlight it, or dye all of it? Do you use an actual color, or is it bleach? Great blog, God bless you!